Work only where you want, when you want. Accept a guaranteed hours contract or only the PRN shifts that fit into your schedule. If you prefer, keep your full-time job or your position at another agency and pick up a shift or two on your available days. We will never pressure you because you are in charge. Our mission at Critical Health Connection, LLC. is to provide you with quality, dependable services. Critical Health Connection, LLC. works hard to provide you with shifts when you want them, where you want them. Critical Health Connection, LLC. 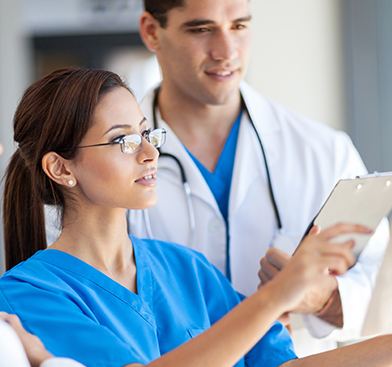 realizes the challenge of hiring and retaining top nursing talent. I love Critical Health Connection because it allows me the flexibility I need with my kids. It also puts me in different environments for me to be able to learn more about the different types of healthcare. It’s a great company! I have worked as a Registered Nurse on and off since 2003 for Critical Health Connection. I have always enjoyed traveling to different facilities and hospitals. I was always welcomed by the staff and my company was spoke of highly by management staff. I was told several times that when a facility needed agency staff we were the first they would call. I like Critical Health Connection because of the flexibility of hours and the convenience of pay. The Staff is super friendly and helpful.